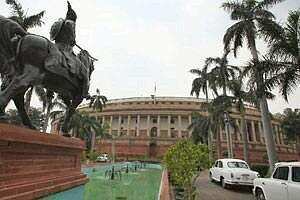 Will Parliament be able to resume functioning now that there is some amount of ambiguity over retail reforms? This was one policy measure that only needed to be fought for in the cabinet and not on the floor of the House, the government would have believed, since parliamentary approval wasn’t required to allow overseas investment in multi-brand retail. Still, the degree of extreme emotion that was provoked by the action was perhaps inevitable in an already inflamed polity. Or so it seems in hindsight, which, as they say, is 20-20. Anyhow, what was thought to be a certainty appears to have gone into limbo in a week during which Parliament has been brought to a standstill.